One of the useful feature of Aweber is Blog broadcast feature which turn your RSS feed into email newsletter. 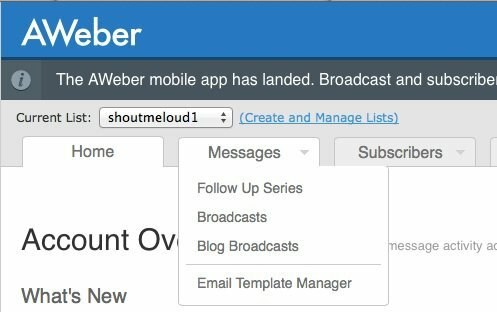 What I like the most about Aweber blog broadcast feature is, you can also configure various settings such as when to send the updates, after how many posts it will send out the newsletter to your subscriber. One thing which you should know and remember is: Blog broadcast feature is most effective when you are sending high-quality articles. Imagine would you read regular email updates from someone who is sending you mediocre updates? 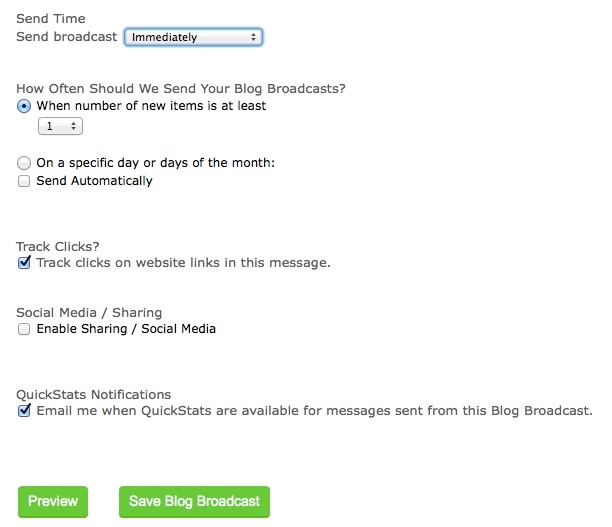 On the next page click on Create a blog broadcast and this is where you will configure all the settings. First add the feed URL at the top and customise the subject of your RSS feed newsletter. A good idea is to personalise by using subscriber first name and after that adding something like “Updates + Keyword”. Here Keyword is the reason somebody subscribed to your blog updates. I usually use ” First name blogging updates from ShoutMeloud”. Now on the right side you can pick any template you want and load it for your eMail newsletter. For this tutorial, I have selected basic plain and you can use any other and customise it to match your brand. If you are a designer, you can design your own Aweber newsletter template. Now it’s time to setup how and when Aweber should send out updates to your subscriber. I will tell you how to do this, but you should use your own settings depending upon your blog type. For example if you publish 2 posts a day, it’s a good idea to send out eMail newsletter after number of new posts is 4. When I was interviewing few of my blog readers, majority of them voted in favour of not more than 2-3 newsletter in a week. I follow the magic number 2. Another practice which I have noticed by many Aweber user is, they send out Email newsletter on weekends (Saturday preferably) and no newsletter on the other day. This is another good practice in many cases and I would suggest you to pick one which suits your blog readers. May be you can send an email broadcast to them and ask them “How often you would like to receive blog updates”? Another important factor to keep in mind is; you should send out eMail newsletter at the time when you can expect maximum open and click. You can refer to this guide to find best time to send eMail newsletter. Once you have setup all the above settings, click on Save Blog broadcast and it will take you to the next page where you should first send a test mail to yourself to verify if you are receiving everything the way it should be. 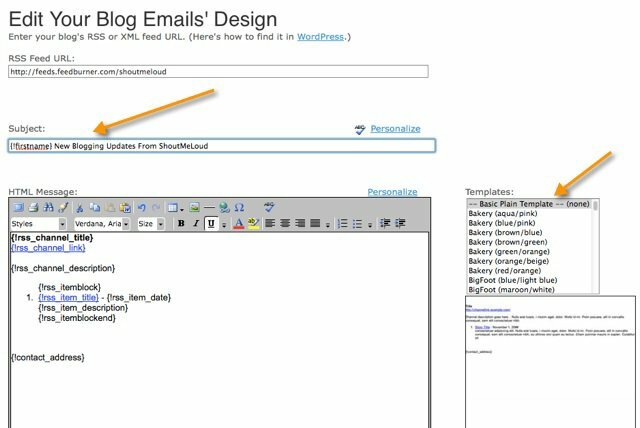 Tip: If you publish many filler content on your blog, what you can do is: Create a separate RSS feed using any special tag of your blog and setup the blog broadcast feature using that RSS feed. Example, you can have a tag call Special and use feed burner to create a feed for that particular tag. This way you will be sending out only selected and exclusive content for your email subscriber. Most of us are quite lazy at the initial days of building eMail list and you don’t want to login and send updates manually. 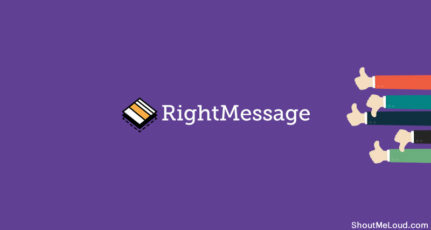 Using RSS to email newsletter feature, you will be constantly in touch with your eMail subscribers. 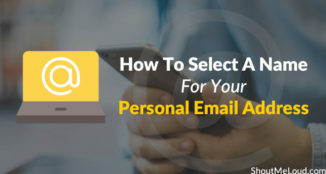 This way, when you effectively start using your eMail list after initial days, your eMail will not feel like an unwanted email to your subscriber. 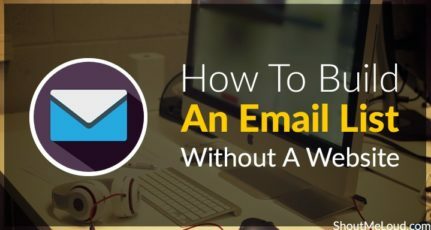 Do check out this handy tutorial by Satish where he shared a great strategy to get first 1000 email subscriber for your blog. If you have any question, feel free to ask me via comments. Enjoyed this tutorial? Do share with your blogging and online marketing friends on Facebook and Google plus. You can also subscribe to ShoutMeLoud newsletter here. Harsh i have 2200 Feedfurner Email Subscribers in one of my blog. If i will switch to Aweber, then how to transfer that 2200 subscribers to Aweber. There is a way but it’s not very feasible and not very effective. 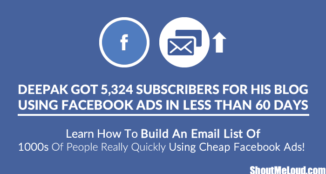 You can export your Feedburner subscriber Emails in a CSV file and import them on Aweber but they will get an Email again to subscribe and this way you might lose many subscriber.. Even I have more than 3000 Subscribers so is it possible to switch over ?? Vishal read my above comment and answer would be the same..!! I tried to import my Feedburner email subscribers into my Aweber account last year, and they denied it. I never did pursue it any further, so I don’t know if they can be persuaded, or if their policies have changed. On all new blogs, though, I start with the Aweber Blog Broadcast on day 1! Is Aweber better than Feedburner? Email subscription can also be given through feedburner, so why should we switch to Aweber? Please tell me, as I am new to this, so I might be missing something. Or is it just that you are experimenting Aweber? 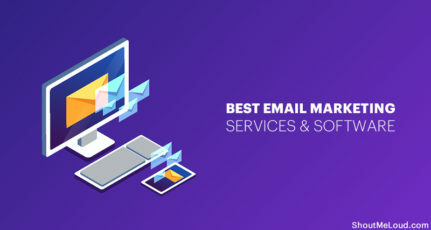 I’m learning Email marketing and till now I’m happy with my decision of shifting to aweber.. Building an Email list is the best thing which you could do and this will eventually help you in long run…. It has some feature like follow up message, broadcast & blog broadcast which makes it amazing.. But if you have budget to spend, I would suggest go for aweber and after couple of months.. You will be appreciating your decision..!! Thank You Harsh for sharing this information. I am very close to start with aweber 🙂 will try it then..
Hi Harsh, i got a question for you. My blog is only 4 months old and I have already got 60 subscribers for my blog. If I use Aweber right from now on, will their be any benefits. I don’t know a thing about aweber, since I am pretty new to it. So plz explain? Sathish Since your blog is blogger centric, I would suggest use Aweber as creating a list would be really useful for you in long run..
Hi Harsh, Thanks for your reply. Well, I got more questions for you. How do I get start with them. I have seen that for the first 500 subscribers the monthly price is $19. What if we get more subscribers in the future. It looks a bit costly to me. Any suggestions? Well, I got it now, Harsh. I am going to sign up for aweber. Thanks for helping me to take this decision. I was looking at the legal aspect, and every email needs to have a postal address at the bottom of the email. When Feedburner sends the email, it uses an address from Google. What happens when you use Aweber and you are in India ? Do you need to use a postal address from India ? Ashish yes it’s mandatory to mention your postal address even in aweber or any other Email service . hey! good news is i have subscribed to aweber from the very beginning and already have my list of subscribers… but i can not figure out how to set up a decent looking blog broadcast that looks like the feedburner emails that i receive from people. Anything similar for MailChimp? I use mailchimp and I am also using OptinMonster. I wanted to integrate Feedburner with OM, but cannot. So I want the same to happen with MailChimp. Any idea Harsh? Thanks for the blog post which was very helpful. Worked like a charm. However, I have set up my blog post so that when it receives an email from me with a news report, it automatically posts it as a blog, and then the Feedburner RSS feed sends it over to Aweber. 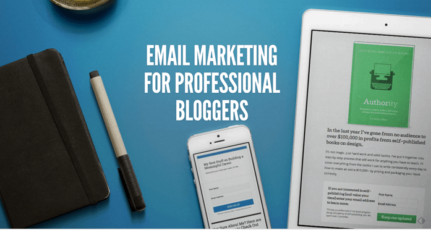 I am finding that the email gets posted on the Blogger blog immediately upon receipt, but the Aweber email can take up to an hour before it goes out. Any way to speed up the RSS feed/Aweber part?